Billboard’s annual Top 25 Tours list is out for 2012, and the roll features a collection of rock and alternative music makers. This list was calculated from Billboard Boxscore figures comprise from Nov. 9, 2011, to Nov. 13, 2012. On the alternative music side, Coldplay took the No. 5 spot, taking in $147,188,828 for their “Mylo Xyloto” tour, the Dave Matthews Band coming in at No. 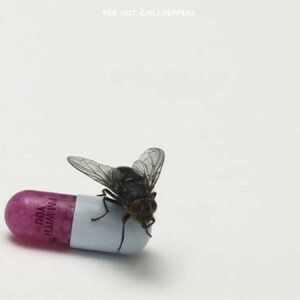 11 with $41,433,182 in sales, Red Hot Chili Peppers at No. 15 scoring $33,911,873 and Pearl Jam at No. 23 with $27,363,430 in sales. Rockers on the list included Bruce Springsteen & the E Street Band at No. 2 with $199,371,791 in sales, former Pink Floyd member Roger Waters at No. 3 with $186,466,703 in sales for his “The Wall Live Tour,” Van Halen at No. 8 taking in $54,425,548 and Nickelback at No. 17 with $33,790,267 in sales. As for the No. 1 tour if 2012, the honors went to pop diva Madonna, whose mammoth MDNA tour took in a whopping $228,406,085 in gross revenue for the year. To check out the full list, head to Billboard.